In the last couple of weeks I looked at current problems with regard to Members of Parliament and put forward suggestions as to how things might be improved. The meeting for which I prepared the paper that was the basis of my last article was most interesting. There were clear areas of consensus, in particular that we needed a new electoral system. Indeed one very pleasant interlocutor asked why we were stressing this since it had been agreed that a change would be made. Sadly he had not followed the manner in which, for the last two and a half years, the Prime Minister has blocked electoral reform, despite the best will of both the President and the Elections Commissioner. Interesting statistics were put forward during the seminar, including the fact that 94 current Members had not passed the Ordinary Level Exam, and 68 had not passed the Advanced Level Exam. 38 had passed that, but gone no further, which means we have only 25 degree holders in Parliament. I am not sure if those statistics are accurate, and indeed one participant noted that academic qualifications did not necessarily mean one made a good member of Parliament. That is certainly true, but that does not mean that Parliamentarians do not need intellectual and analytical capacities. Given that obviously these will be very different in different people – and as a recent ILO study put it, our education system has failed in the development of cognitive skills – there is clear need for training for Members of Parliament, even the graduates. This should be done by parties with regard to candidates, as well as the administration of Parliament following an election, but of course nothing of the sort happens. I have been arguing for the last few months that the basic principle this government was elected to fulfil, namely reducing the power of an over mighty executive, requires the establishment of alternative centres of power. 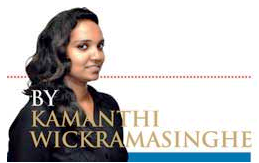 The Wickremesinghe recipe of transferring all power to the Prime Minister, by giving the latter freedom of action and placing the President firmly under his control, is authoritarianism of an even more insidious sort. But in the discussions I see in the media, there is little attention to those alternative centres of power. The failure to amend Standing Orders so as to strengthen Parliament, and give due recognition to the Opposition, has not been discussed anywhere. The continuing suppression of the Public Service, by handing over the appointment of the Accounting Officers of all Ministries wholly to the Executive, has hardly been noticed. The fact that Secretaries have to see themselves as the chosen instruments of their Ministers, or of the political executive authority has not been challenged. With regard to the Judiciary, simply getting rid of Mohan Pieris seems to be thought enough to guarantee an effective judiciary. No one seems to be interested in correcting the flawed impeachment procedure that led to Shirani Bandaranayake being accused and judged by the same group of people. And no one seems to be interested in ensuring that the judicial process is simplified and expedited, that judges follow rules as to remanding and sentencing, that legislation is prepared in a fashion that makes it readily understandable by the people whom it affects.